Condition: Great slight amount of green on back. This has not been cleaned. No visible scratching on front surface of stones and faux pearls. 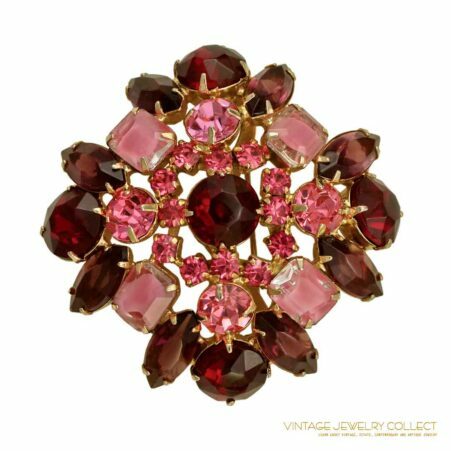 Description: Wonderful vintage © TAT brooch with rich jewel tone colors and hammered-textured surface. This is a shield-shaped brooch with open metal work accented with oval and round faceted resin stones accented by faux pearls. The texture have a hammered-style surface.